Over 35 years ago I began designing jewelry and started to buy batches of decorative glass stones to use in my designs, some made as far back as the early 1900’s. 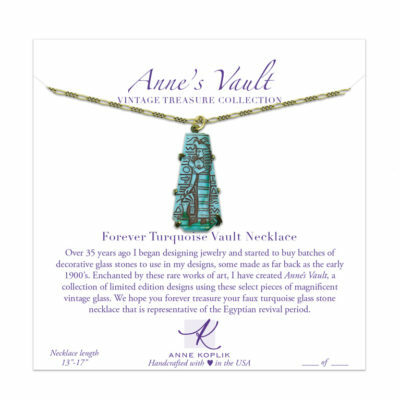 Enchanted by these rare works of art, I have created Anne’s Vault, a collection of limited edition designs using these select pieces of magnificent vintage glass. 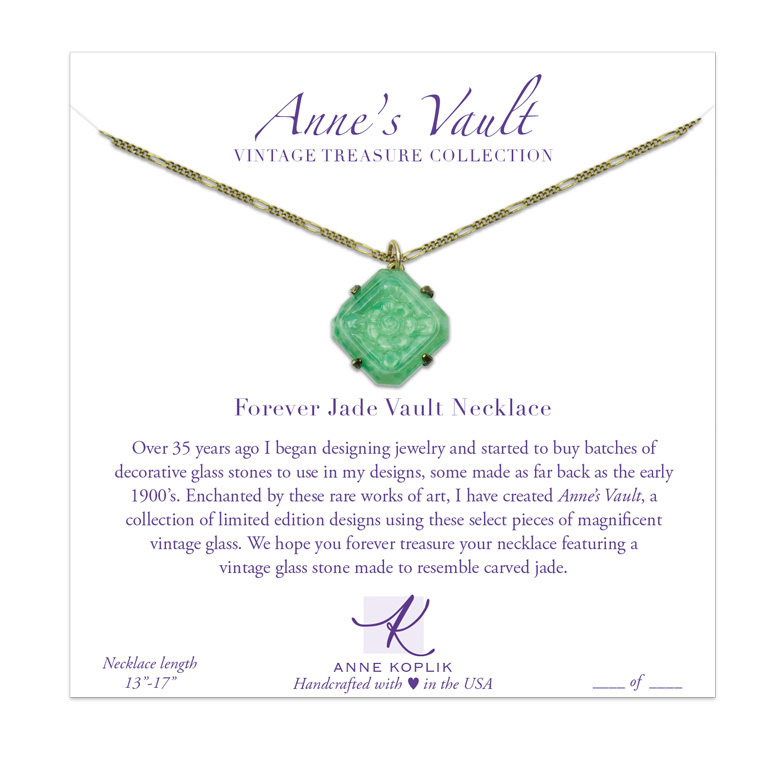 We hope you forever treasure your necklace featuring a vintage glass stone made to resemble carved jade.